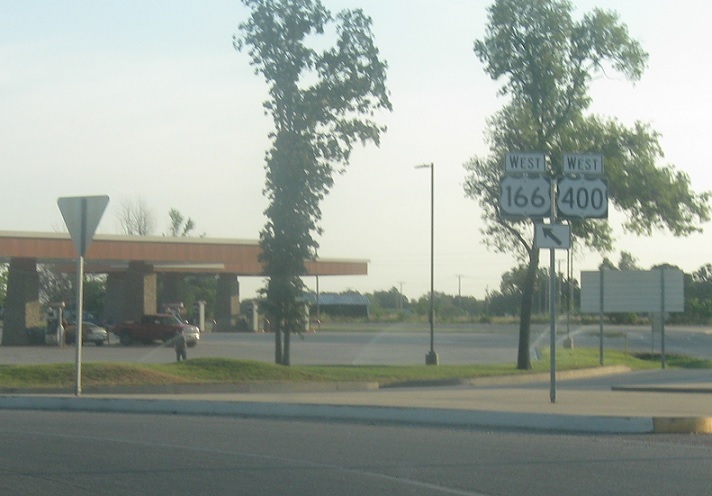 As US-166 and US-400 begins, we’ll approach a roundabout. 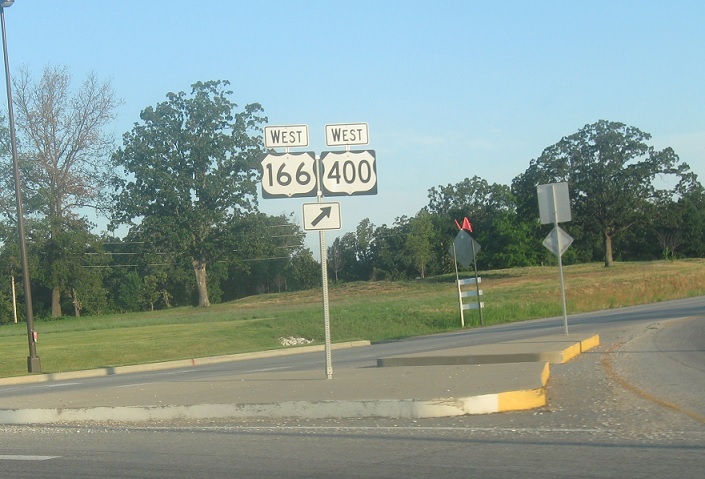 Keep left to stay on 166/400 as we enter the roundabout. 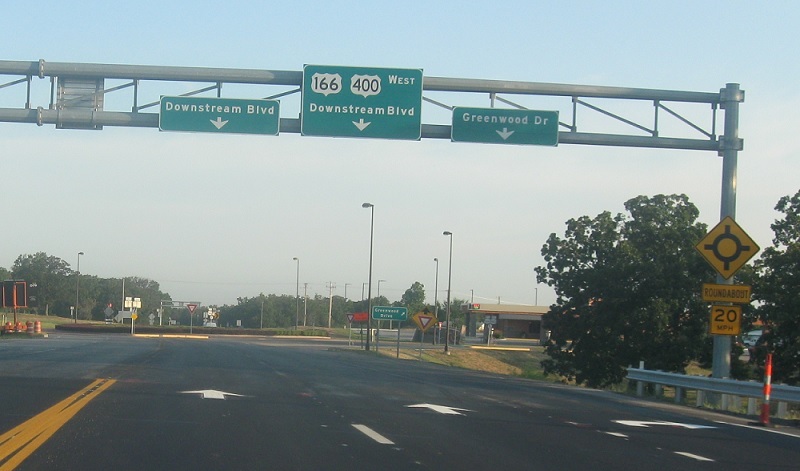 Keep right to head out of the roundabout. 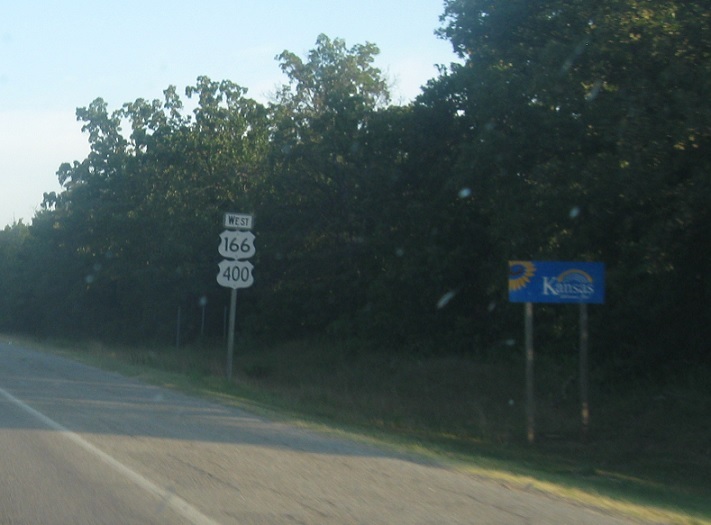 As we head out of the roundabout, we’ll enter Kansas, where both routes spend most of their existence.